market closure. Housing production and finance are dominated by a few major players. the impact of space. Location is acutely important in the housing market; there cannot, because of it, be perfect information and full and free competition. externalities. Housing both affects the environment and is affected by it. credit allocation. The housing market is paid for mainly by borrowing, which has to be based on predictions of future value. It is very unlike the market for food. uncertainty . Because the future is uncertain, so is the housing market. Regulation and intervention are important to reduce uncertainty. market volatility . Prices are dominated by a limited part of the market - those who are buying and selling property at any time. The root of many problems in Europe is a shortage of adequate housing. This statement may seem strange, because most European countries have a crude surplus of houses over households. 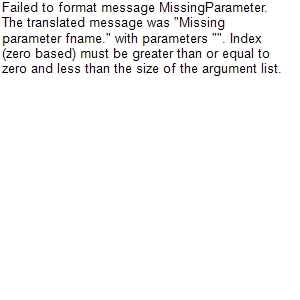 There are three main reservations to make about that calculation. The number of households depends on the number of dwellings. A 'household' is defined as a group of people who normally live together, and households have to fit into the houses that are there. Some countries in Western Europe have half the number of persons per room as countries in the former Eastern Europe. The houses have to be available. Some housing is owned as a second home; some is in the wrong place; some is uninhabitable. A third of the houses in Greece, and over a fifth in Italy and Spain, are vacant. Good housing is in short supply. That makes it expensive. Because housing operates in a market, the people who are most likely to be left out will be those who have least resources. People have to live where they can; so they have to live in unfit accommodation, and they may have to accept overcrowding. Eurostat estimates that 17.3% of the European population, about one in six, is overcrowded. The shortage also leads to increasing prices, creating problems in the supply of affordable housing. 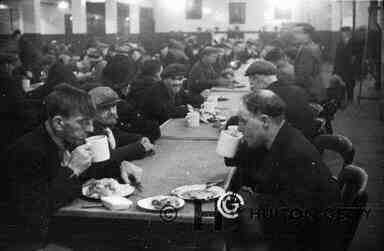 A hostel for homeless people in the 1930s. Shortages of housing. If there are not enough places for people to live, then someone has to go without. Because housing is mainly allocated by the market, those who are excluded will generally be the poorest people. Entitlement to land. In many countries, people squat rather than being homeless. Squatters usually build temporary shelters at first, but over time squatter settlements are built up and the housing on them becomes more established. In developed countries, or at least countries with more developed systems of land tenure, land is not likely to be free for occupation. Entitlement to housing. If people are not entitled to use the housing which exists, they may be homeless, even when there is no apparent shortage. Some people are excluded because of their circumstances - street children are an example. The main reason for exclusion, however, is financial - homeless people are those who cannot afford the housing which is available. In developed countries, street homelessness or rough sleeping is the tip of the iceberg. Much homelessness is concealed, and homelessness is not a fixed state; people move from the street to shelters, sleeping on floors, back to the street. The personal situation of homeless people. Homelessness is often attributed to the characteristics of the homeless person, such as alcoholism and psychiatric illness; or to the social situation of homeless people, such as unemployment and marital breakdown. This approach needs to be treated with some caution; people in these situations only become homeless if they are excluded from housing, or do not have enough resources to secure alternative housing. The central issues are the problems of poverty and exclusion. An unpopular estate, with burnt out car. Deprivation is often concentrated. Slum estates occur in both the private and the public sectors. In the private sector, poor people are brought together through the market; those least able to exercise choice end up in the places least to be chosen. The same is true, to some extent, of the public sector. Where applicants for social housing are allowed a choice, the people most able to exercise that choice are those who have the highest incomes and the best housing previously. They are the ones who can wait for a better offer. Social segregation by housing officers has contributed to this process in the past, but it equally happens in the private sector where this has not happened. However, deprivation is not only concentrated. Concentration means only that there are higher proportions of poorer people in poorer areas, not that everyone is poor. Most poor people do not live in poor areas, and most of the people who live in these areas are not poor. geographical issues, concerned with spatial relationships in the city, planning, transport, the environment and the urban infrastructure. This does not define a very distinct area of concern, and some issues, like local economic policy, are not certainly "urban" at all. community work, including community education, and social development and political organisation. Local authorities provided decent housing for millions of people. Many of the properties in this photo have been sold. Housing in Britain is commonly classified according to tenure. The main tenures are owner-occupation, local authority housing, registered social landlords (including housing associations and stock transfers), and private rented housing. Since the beginning of the 20th century, there has been a major change in tenure. Owner occupation grew from 10% to 67% of the stock, but recently it has fallen back to 63%; private renting declined from 90% to less than 10%, and has grown to 18%; and a large social housing sector, mainly represented by council housing, grew to about a third before its reduction to less than 18%. People on low incomes tend now to be concentrated in social rented housing; the average income of council and housing association tenants is just over a quarter of the income of people who are buying houses with a mortgage. The growth of owner-occupation in Britain is built on a solid legal foundation, stable finance and a history of tax advantages, particularly from the 1960s to the 1990s. The Building Societies were central to this growth. They were founded on a social, co-operative and non-profit making basis, but in the 1990s many became banks, abandoning the mutualist tradition. Owner-occupiers tend to fall into two main groups. Those who own their house outright are mainly older people, often on fairly low incomes, who have paid off their mortgage. Those who are on higher incomes will generally invest in housing by taking out further mortgages. Whether one is in the process of buying a house or not is strongly related to income. vulnerability to market fluctuations, particularly since the deregulation of the market in the late 1980s. 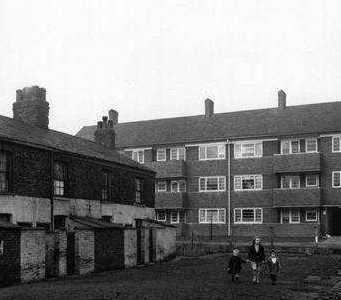 Council housing, and the housing it replaced. (c) Hulton-Getty. Local authority housing grew after World War I. 1.3 million houses were built before 1939 (1.1 m in England and Wales, over 0.2 million in Scotland). There were over 4.3 million by 1961, and 6.1 million by 1981. Initially, council housing was intended for the "working classes". The main justification for its development after 1919 was the provision of housing for general needs, but after 1930, it became focused on people displaced after slum clearance. The stigma of council housing probably dates from this period: council estates were built in locations where they would not adversely affect the values of owner-occupied property. Housing policy changed after 1970, when political support for council housing was withdrawn by the Conservatives; changes in finance, less housebuilding and some sales slowed the growth of the sector to 1981, and after that the numbers started to fall. In the 1970s and 80s, council housing acquired a more residual role, and is now more concerned with welfare issues and special needs. General subsidies have been progressively withdrawn; for most tenants they have been replaced by Housing Benefit. The sale of council housing to tenants at a discount reduced the numbers, but in due course the government found that few remaining tenants could afford to buy on any terms. The policy of reducing the role of council housing subsequently focused on mass transfers of stock to Registered Social Landlords. 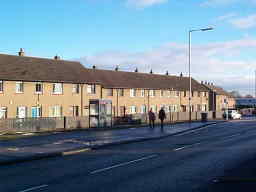 As the role of council housing has diminished, Housing Associations have been encouraged to take over the limited opportunities for development. Private rented housing declined proportionately after 1919, because the growth of owner-occupation and local authority housing took out a large part of the market. Since the 1920s, it has been cheaper to buy than to rent, and capital values have been dictated by sale to owner-occupiers. As the stock aged, it bore the brunt of clearance. The sector declined numerically from 1945 to the late 1980s. The decline of the sector was marked by poor standards and abuse by landlords. Deregulation in 1957, intended to revitalise the sector, had the reverse effect; it facilitated the exit of landlords from the market. The Rent Acts of the 1960s were designed to protect tenants from abuse and to give them some security. The law was widely disregarded by landlords and by the courts; in so far as regulation did have an effect, it was probably to slow down the rate of decline by preventing landlords from selling. In 1988, there was further deregulation, with the creation of the shorthold tenancy to allow landlords to obtain vacant posession and resell. It had limited direct effect on supply (the sector has expanded, but most of that expansion happened more than twenty years later). rental demand (primarily a residual market of those who cannot buy). 'Buy to let' is favoured only if the rate of return (capital accumulation plus rental income, minus expenses) is better than other investments. The combination of factors has led to a marked expansion of the sector since 2007, increasing the size of the sector by 50%. 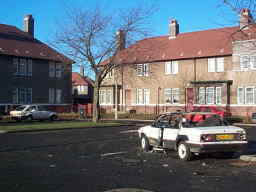 An unpopular estate, emptied in preparation for demolition. Vandalism. There is inadequate play space in or outside the home. Rubbish. It may cost money to have large items of rubbish removed. Home maintenance. Maintenance of homes and gardens costs money for equipment, which many poor people do not have. Lack of community facilities. Shops and facilities are not economically viable. Empty housing. Housing is left empty because the area is unattractive. A bad house in a good area would still be taken. Design. There is a connection between bad design and problems like vandalism, rubbish and graffiti; but part of that association relates to high population densities, part to poor management which poor tenants do not have resources to compensate for. 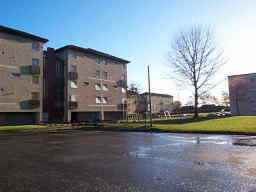 The problems with high-rise blocks have been their unsuitability for the populations they were used for - lack of play space, isolation, lack of noise insulation and derelict garage areas; poor maintenance, such as badly maintained common areas, accumulations of rubbish or reliance on lifts which are often dirty,vandalised or broken; and problems inherent in the design, such as inadequate water pressure, building movement and fire risks. Most social landlords have changed the use of high-rise blocks away from families and high-density occupation, leading to a much higher level of satisfaction with them by the new tenants. the definition of deprived areas has been suspect. The reason Hackney appears to be more deprived than Glasgow is that its boundaries are smaller and so richer neighbouring areas are disregarded. the indicators used - like car ownership - have a bias towards urban areas. even if the premises of area-based policies are accepted, there are major concentrations of deprivation on the edges of cities. The focus on "inner cities" is a mis-description. J Barlow, S Duncan, 1994, Success and failure in housing provision, Pergamon. D Gordon, C Pantazis, 1997, Breadline Britain in the 1990s, Avebury. P Dunleavy, 1981, The politics of mass housing in Britain, OUP. I Cole, R Furbey, 1994, The eclipse of council housing, Routledge. J Rex, 1988, The ghetto and the underclass, Avebury.